Picture from group : Knockanoughanish from the west. Picture: Knockanoughanish from the west. Quiet small summit with rough ground and good views. This is a rough quiet twin to the better known Knockatee. It has it's own charms of quietness and remoteness. 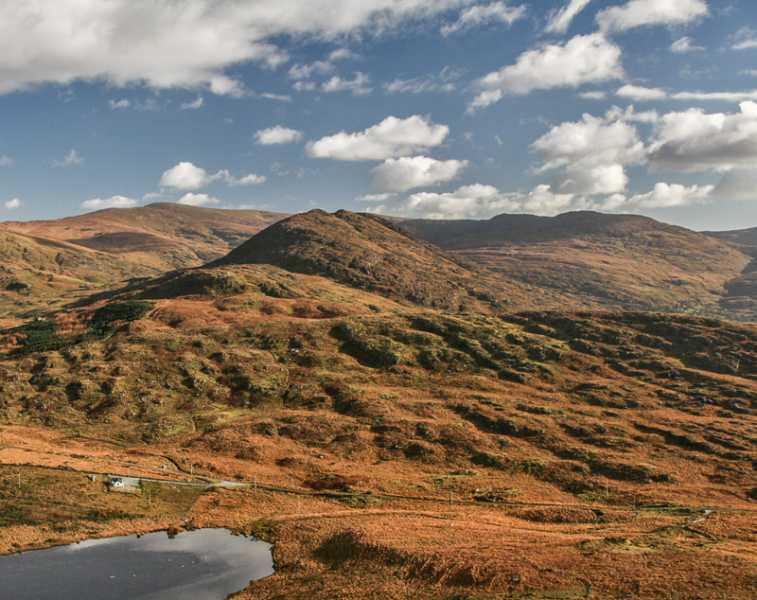 It has great views over Kenmare Bay and into Glentrasna. An obvious way to reach it is to start from the west at V78212 60043 A which is also an access point for Knockatee. There are several fences in the general area however if when you start out you stick to the left of the fence you should only find one to cross (as of 2016). There are other places to start from the R571 such as from the south of the top. The summit area is commonage and there is active sheep farming in the area for example to the south. As mentioned previously by choosing your route you can avoid crossing fences into farmland.